Fools fight polarised battles. The wise man grows beyond them. An enhanced and improved iTunes Store and a much better TV app for Apple TV and iOS is the most likely way Apple will bring its video services to market, predict the analysts from Ovum. Apple will hold a big event on March 25 at which it is expected to announce its new service, often described as some form of “Netflix competitor”. This may not quite be what Apple plans. A platform-based bid to create an ecosystem both itself and others can thrive in. “All signs point toward a new and enhanced version of Apple’s popular iTunes store and the associated “TV” app for mobiles,” they said. If they are right, the new platform will host Apple’s originals and the iTunes video-on-demand (TVOD) store, and it will aggregate a broad range of third-party TV and OTT video services. Apple new service will not be available to non-Apple devices, but the company will enable others to receive the service on their hardware through support for AirPlay 2 – as revealed at CES. Apple wants to help third parties sell stuff through its platform because of money. TV on demand sales through iTunes dropped from 70% in 2011 to 22% in 2018 ($1.81bn), according to Ovum. Apple also wants to get people to engage with iTunes, offering an environment in which they are encouraged to subscribe to third-party streaming services and explore TV on demand catalogs. Originals will be made available free of charge to encourage people to take a look. The key take-away within this model is that it doesn’t necessarily put Apple up against third parties, it enables it to focus on mutual interest – building business (and revenues) for both Apple and third parties. “All in all, Apple’s strategy will take bits and pieces from some of the key services – high-end originals (such as Netflix), aggregation of third-party services (such as Amazon Prime Channels), and proactive curation of TVOD content (Amazon again) – to a captive base of over 600 million Apple devices and replaces the closed Apple ecosystem playback with one that promises a much more user-friendly customer experience,” Ovum wrote. Hybrid services like the one Apple will launch will take 33% subscription market share by 2023. 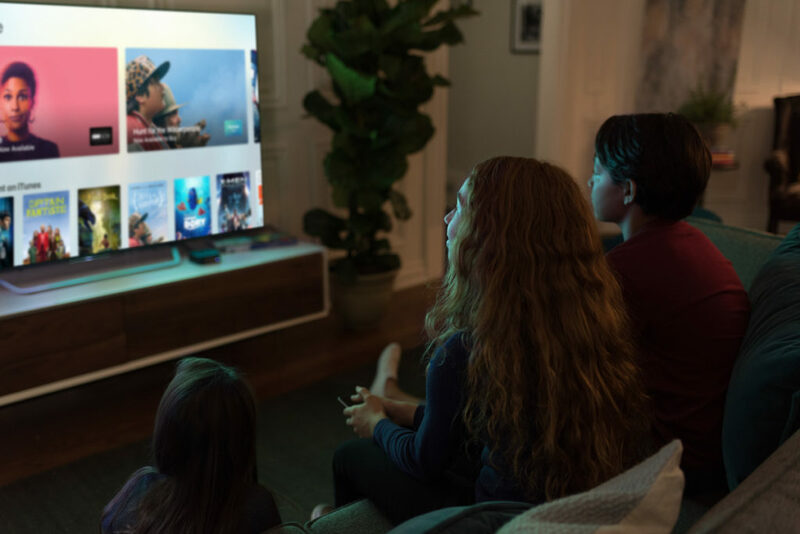 “Apple has clearly made the decision that rather than building its own Netflix service, re-intermediating pay TV for the OTT is the best way forward to build a strong strategy for the coming online world of the 2020s.